Today: "Indiana Gaming Insight" and "Indiana Political Insight" newsletters editor Ed Feigenbaum joins us for the latest news for northwest Indiana and statewide casinos from the Indiana Gaming Commission and General Assembly. He has updates on efforts to create statewide sports betting options as well. We also bring back our conversation with Stephanie Blackstock of Gabis Arboretum at Purdue Northwest on the one-year observance of change in ownership of the Valparaiso area nature preserve. 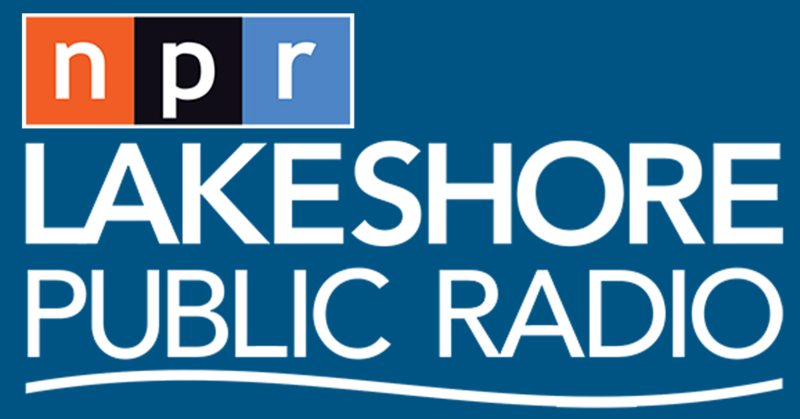 Today: On this Reporters' Roundtable, we have conversations with reporter Michael Hawthorne of the "Post-Tribune" and "Chicago Tribune," CNHI newspapers group Statehouse Bureau chief Scott Miley and Lakeshore Public Radio's Sharon Jackson. We also bring back our conversation with Ed Feigenbaum, the creator and editor of the "Indiana Political Insight" and "Indiana Gaming Insight" newsletters in Indianapolis. The newsletters are now owned by Hannah News Service. Today: On this Reporters Roundtable, we call upon reporters from the "Times of Northwest Indiana" to talk about their stories: Investigative Editor Marc Chase, education reporter Carmen McCollum, business reporter Joseph Pete and business and transportation reporter Andrew Steele. Today: a conversation with Lorri Feldt of the Indiana Small Business Development Center in northwest Indiana and Indiana University Northwest economist Micah Pollak about the optimism of small businesses in the early months of the new administration in Washington, and if northwest Indiana small businesses are expressing any optimistic views. The Indiana Gaming Commission issued its March revenue report from the Hoosier State's casinos and analyst Ed Feigenbaum came on "Regionally Speaking" to talk about how the northwest Indiana riverboats did -- as well as about gaming-related legislation that came up during the 2017 General Assembly session. Ed also talked about other bills and issues that were debated and passed by lawmakers this past session. Here's the conversation, aired on Tuesday. Today: A conversation with Ed Feigenbaum, the creator and editor of the Indiana Gaming Insight and Indiana Legislative Insight newsletters, about the March 2017 revenue report from the northwest Indiana casinos, the impact of outside forces on the riverboats -- and Ed's review of some of the big bills from the just-ended 2017 General Assembly session. WalletHub analyst Jill Gonzalez joins us with some good news for the city of Gary -- a recent survey from the website shows that Gary mortgage holders are the third least over-leveraged in the country.